The West Linn baseball team may look a little different this year. The Lions return just three experienced varsity players from last year's Three Rivers League champion and just one pitcher with any starting experience under his belt. That said, West Linn plans to be just as competitive as ever in 2019. "Much like last year, we are replacing a lot of pieces but that doesn't change our goals of competing for league and state titles," said West Linn coach Joe Monahan, last year's TRL Coach of the Year. "We want our players to compete every day and focus on the little things so the big-picture goals are obtainable." As much belief as the Lions have in their ability and their program's ability to replace players each year, they also know that it may take some time to sort things out this spring. "We need to get experience quickly," Monahan admitted. "Although we have nine seniors, we are only have three with a lot of varsity experience." On the plus side for the Lions, those three returners — senior shortstop/pitcher Jonathan Kelly, senior catcher/pitcher J.J. Hoover and senior third baseman/pitcher/first baseman Zach Bell — are pretty darned good. 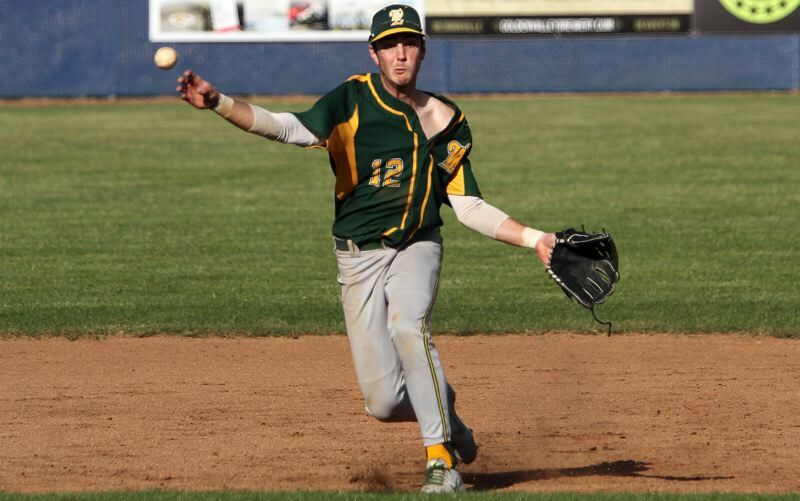 Kelly (a Xavier commit) is back after winning first-team all-Three Rivers League honors as a shortstop a year ago, while Bell returns after being named to the all-TRL honorable mention team. Hoover will play next year at Linn-Benton Community College. "Our strength this year should be our senior leadership, especially with Jonathon Kelly and J.J. Hoover, who are three-year varsity players," Monahan said. "We have a total of nine seniors and that should help us." In addition to Kelly, Hoover and Bell, the Lions' infield will look to senior Cormac Duffy at first base, senior Matthew Kurtin at both second base and shortstop, sophomore Caden Parker at second base and sophomore Adam Simshauser at catcher. Simshauser will also see time elsewhere defensively. In the outfield, West Linn will field three new starters led by senior Garrett Wiancko and Duffy, along with senior Gabe Johnson, sophomore Clay Masters, sophomore Parker Stevenson, sophomore Zac Hoover and Parker. "Wiancko bats lefty and is a strong hitter with some varsity experience," Monahan said, adding that Duffy "has really developed this past year and has a good shot at being a starter. He swings a great bat from the left side." In the pitching rotation, the Lions will call on senior Caleb Franzen, Kelly and likely sophomore Kyle Sullivan as starters, with Kurtin and Bell in the bullpen, and — when he's completely healthy — Hoover as closer. "Most people probably don't realize it, but we only return three varsity starters returning and one of our main players is out injured and should return in the next few weeks," Monahan said. "We only have two other players with varsity experience on our roster, however, we have some good underclassmen that will need to develop quickly in order to compete for the top tier in our league. I'm optimistic that we can do that." Also ready for varsity time are senior third baseman Chase Bartley and junior pitcher Brandon Alexander. Regarding the upcoming TRL race, Monahan expects Lake Oswego, Tigard, Lakeridge and Oregon City to be the teams most likely to cause trouble. "Lake Oswego and Tigard return a lot of key players and should be up there at the top," he said. "And Lakeridge has a lot of strong young players that should put them along with Tualatin in the top tier. I think we are somewhere in the middle right now with some upside depending on how soon we can get answers to the six (varsity positions) that are open."